In 2100 my son will be the same age my father is now. When my father was born the world was emitting just under a billion tonnes of carbon per year. When my son was born we were emitting almost 9 billion tonnes a year and global CO2 levels had increased by about 30%. How old is my son? How old is my father? What will the world be like in 2100? 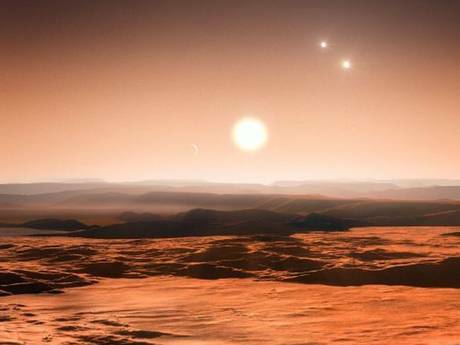 Three Goldilocks planets discovered orbiting the same star. They’re all in the Goldilocks zone where water can exist in liquid form, which is supposedly necessary for life as we know it. Perhaps any kind of life. Almost certainly for any kind of advanced life, though who can be sure? So if advanced civilizations developed on one or more of those planets they would quite likely visited the other life-supporting planets in their system at an early stage of development, the stage we’re at know, and perhaps in learning about those other planets that were quite like their home planet they may have learned to look after their own planet better. Or if they did trash it, at least they’d have a Planet B to move to, and then a Planet C after that if they wanted to. Then maybe they’d be advanced enough to travel to other stars and they’d happen across us, this remote planet, like an Easter Island to their Europe, and they’d witness us doing to our planet just what they did to their Planet A. Would they intervene and stop us or would they sit back and watch us with great academic interest? Historical interest as to their historians it might be like watching their own history unfold in a parallel universe. The Professor’s mother mentioned how she thought some parents treated their children like little adults. She thought this was wrong. I asked her what she meant. Could she give me an example? All sorts of things could be described as trying to get children to behave like adults. Teaching them to walk, for instance, or encouraging them to walk as I don’t think it’s something you really teach them. A couple of days later she got onto the subject again and it was only then that it was clear she was referring to my efforts to get The Professor to share his toys. Toddlers aren’t meant to share, she said. They’re not old enough to understand what it means. 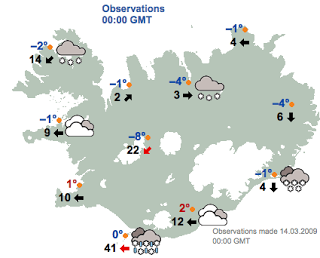 A strong gale warning (more than 20 m/s) is in effect for many parts, except in the east. There’s a snow storm outside at the moment. I took a walk around the back gardens of the flats I’m staying in. There’s a semi-communal grassy area with benches, though this evening the grass has become covered in snow. It’s just gone midnight. The wind has become stronger. It was a struggle walking against it back to the back door of the flat. Iceland has a population of 300,000 people, most of whom live in Reykjavik. The tap water here smells of sulphur. According to the National Museum of Iceland, 65% of the original female settlers came from the British Isles whereas most of the original male settlers were Scandanavians. I saw the laughing man this morning as I went to the shop. I used to see him a lot but haven’t seen him for quite a while, though I’ve been away. He’s an old Jamaican guy who is always laughing his head off, muttering something to himself and just laughing. He was walking down St. Saviours Road. I crossed the road to avoid him, fearing that if I got too close I might start laughing as well and not be able to stop. 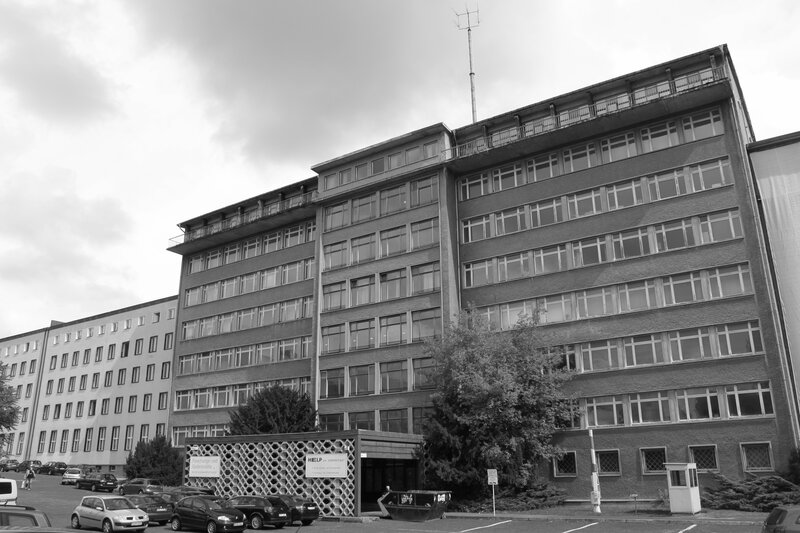 The Stasi museum is well hidden. I had to ask directions twice, and still I was wandering around some estate where I was told it was supposed to be. It was only when I was about to give up that I saw a clock with something on it, something that’s hard to describe so I won’t. The truth is I can’t remember what it had on it. I’d written down “Nastasi used to be howls here” but that can’t be right. I didn’t write that. My notes have become distorted. Why is America going to go bankrupt and what are going to be the effects of this? This was shot just over a year ago in Paris but it seems quite topical now. Listening to some people on the other side of the cafe talking about cycling: cyclists breathe in less pollution than car passengers apparently, according to a woman who sounds like she knows what she’s talking about, though often the people who sound like they know what they’re talking about are the ones who don’t. It’s because of the height, she says. Cyclists are higher up, unless they’re children or recumbants, so the air they take in is better quality, whereas cars take in air from lower down which is where the pollution hangs. Discovered the Parfitt brothers’ new band on MySpace and listened to some before getting cut off, perhaps for having too slow an internet connection.